The last swing highs for the SPX were 1690, 1710, and 1730. So I think wave B could go as high as 1750. After that wave C to 1650 (?) should follow. 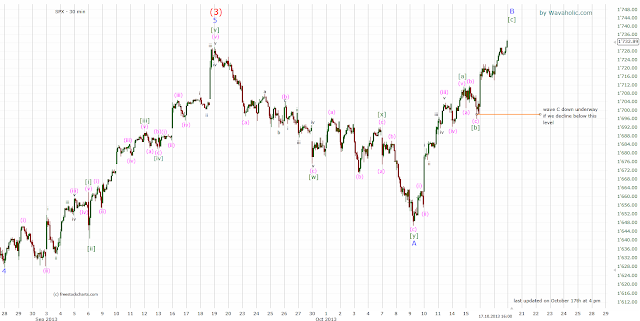 Wave C should be underway if we decline below 1700.